At the 2014 National League of Cities Conference in Austin Texas, St. Paul Mayor Coleman highlighted Sprockets work with out-of-school programing. "Coleman has championed the idea that students lose academic ground over summer breaks and do better in school and the workforce when they engage in after-school and summer learning. The mayor has pointed to St. Paul's Sprockets network of out-of-school-time-learning programs as a model for cities to emulate" (Frederick Melo, Star Tribune). 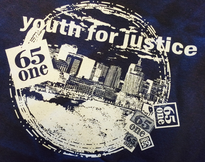 A new leader is emerging in St. Paul’s youth driven educational equity work: 651 Youth for Justice. 651 Youth for Justice is facilitated by Saint Paul Public Schools Community Education Youth Development program but looks toward youth and partner organizations to be leaders and facilitators. Throughout history, young people have played important roles in many movements - 651 Youth for Justice’s goal is it be responsive to youth experiences with discrimination and oppression by providing spaces and resources to reflect and take action. For tips on addressing recent racial equity issues read the entire Spotlight. On Monday, December 22, 651 Youth for Justice will host a get-together at Midway Lanes. It will begin at 11:00am with a training, 4 Simple Rules to Effective Leadership. After the training, youth groups will identify issues they are passionate about and work on their mini-grant proposals during a pizza lunch. Afterward sharing their project ideas with the group, youth and youth workers will celebrate while bowling. 651 Youth for Justice will cover all costs and can provide bus tokens. 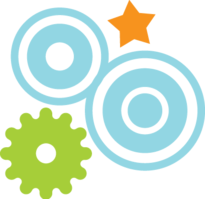 Raise Your Voice for Afterschool Programs! Ignite Afterschool, Minnesota’s afterschool network, is mobilizing afterschool, youth, and communitystakeholders from across the state in support of high-quality afterschool and summer learningopportunities for all young people. Get involved, and make sure your voice is heard in the upcoming legislative session! 2. 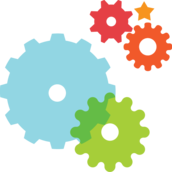 Sign the Statement of Support to become a Platform supporter, either as an individual or as an organization. Platform, and increased public funding for afterschool programs in Minnesota. Taking these simple steps goes a long way towards building the momentum for investment in Minnesota’s young people. Get involved now, and look out for more opportunities to contribute in the future! -Women's Initiative for Self Empowerment (WISE) Inc.